With so many different perfumes out there, choosing just one can be impossible. The Scent Room offers a range of minis and discovery sets, so you can explore and find your new favourite scent. Some fragrances in The Scent Room are also available in mini spray bottles, perfect for traveling or when you just can’t commit. What Mini or Trial Set Should I Buy? Clean Reserve fragrances are perfect for layering together to create a truly customised signature scent. This set contains six minis, with a variety of fragrance types represented. Try layering Rain with Skin, for a warm, musky scent with a touch of the rainforest, or Sueded Oud and Blonde Rose for a spicy blend of florals and woods. Give the gift of luxury with the Amouage Men’s and Women’s Samplers. Each pack contains 12 mini vials, and makes the perfect introduction to Amouage. Sample Amouage’s finest scents and discover why they are considered by many to be one of the most prestigious fragrances houses in the world today. Every aspect from bottle to perfume is created completely by hand, using the highest quality materials, for a truly sumptuous experience from beginning to end. Discover the playful and romantic world of Juliette Has a Gun with the Discovery Box. Featuring eight different fragrances, this set is perfect for anyone looking to try a variety modern, fun and intriguing perfumes. This set contains seven mini vials and a larger vial of Not a Perfume, the fragrance created from a single molecule that will smell slightly different on every person and can be layered to enhance any other scent. A selection of Juliette Has a Gun fragrances are also available in 7.5ml perfume sprays, perfect for travel. Please note that mini travel sprays and discovery sets do not come with matching sample vials and are not eligible for free returns. 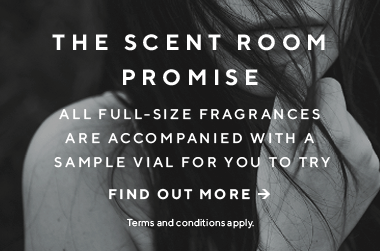 For more information on The Scent Room Return Policy, please see here. Perfect gift idea! Or for yourself if you're looking for a new scent and want to try a few out. Easy to chuck in a handbag and they all smell great!